Blu Smith to Offer a Taste of Fine Art at Charles Chen's Dinner Club NYC: "Chakras"
When Fine Art Meets Fine Cuisine: Artwork by Blu Smith to be exhibited at Charles Chen's exclusive Dinner Club, "Chakras", Thursday August 18th. Smith to exhibit large scale works during a curated night meant to explore multiple senses. 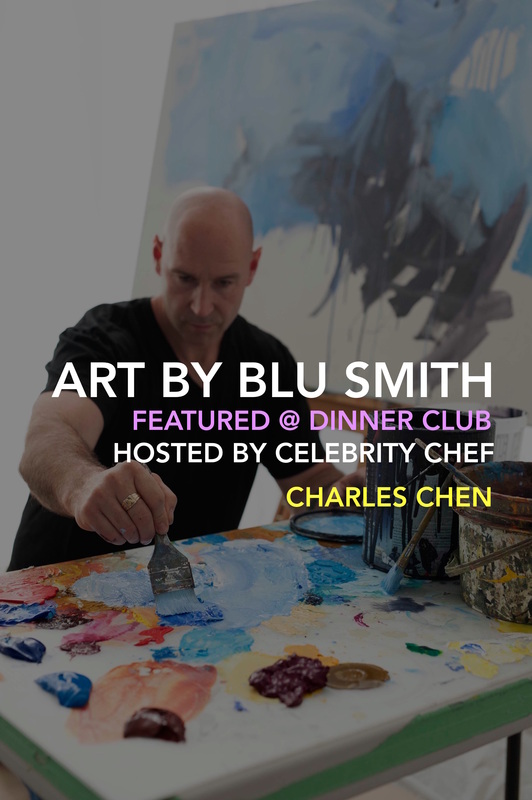 Artist Blu Smith will display three of his eye-popping abstract paintings at celebrity Chef Charles Chen’s Dinner Club series on August 18, 2016. The night is aptly titled ‘Chakras’ and will set the tone for a submersive experience of the senses. The annual Dinner Club event is designed to showcase Chen’s favorite artists, brands and creators through a unique culinary experience. This year, more than 40 elite guests will feast their eyes on Smith’s artwork, including Apparitions, 48” x 60”, Landslide, 54” x 60”, and Teardrop in the Fire, 68” x 48.” One of the pieces will also be digitally printed on the official menu of the evening to set the tone for each course. These three pieces each draw upon Smith’s bold signature style, which blends acrylics, latex house paint, charcoal, gloss and other materials to create an organic, sensory experience. “I look at my paintings not as individual pieces but rather as a living, breathing and constantly changing body of work,” Smith says. The use of natural shapes and cavernous, light-filled spaces will pair perfectly with Chen’s gourmet affair, proceeds from which will benefit the American Heart Association. For more information, visit BluSmithGallery.com or follow Blu on Instagram @BluSmithGallery. You can also learn more about the event by visiting http://www.dinner-club.org. As a young man, Blu Smith worked as a sign painter and commercial artist. He soon came to realize that the attributes of precision and accuracy were far too restrictive, and decided to free himself from the realm of realism. Thus was born the mature, non-representational abstract style that is his signature today. Smith begins his pieces with broad washes and textures, then pulls out three-dimensional shapes within the structures and resolves the surface with incisive line drawing. He lives in Victoria, Canada, with his wife and young family, and has exhibited work throughout Canada, Europe and the United States for several years. 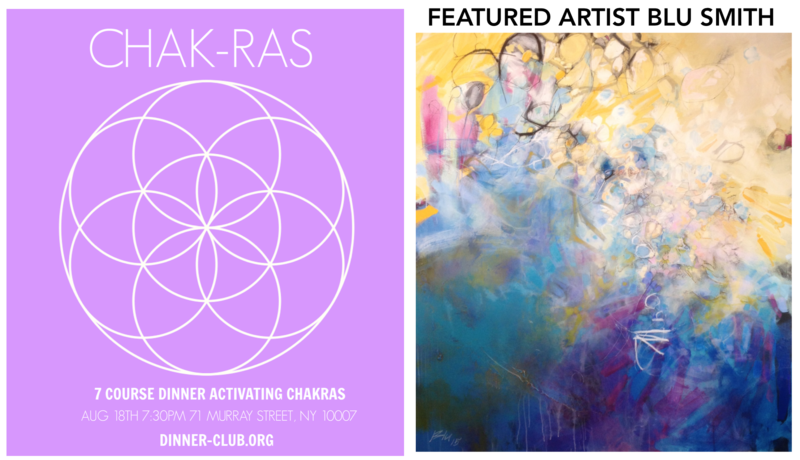 Original Source: Blu Smith to Offer a Taste of Fine Art at Charles Chen's Dinner Club NYC: "Chakras"